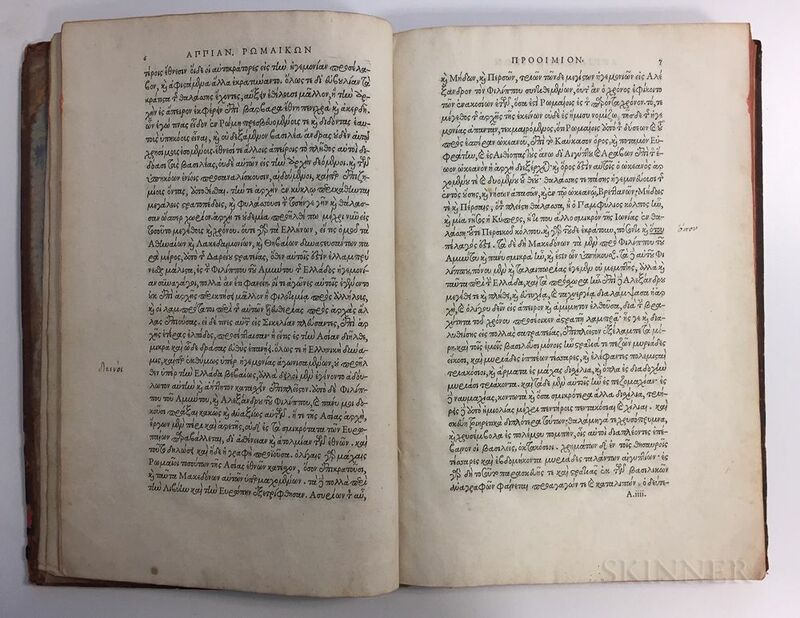 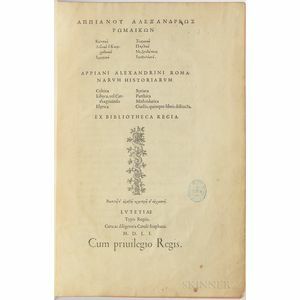 Appian of Alexandria (c. 95-c. 165) Appiani Alexandrini Romanarum Historiarum: Celtica, Libyca, vel Carthaginensis, Illyrica, Syriaca, Parthica, Mithridatica, Ciuilis, quinque libris distincta. 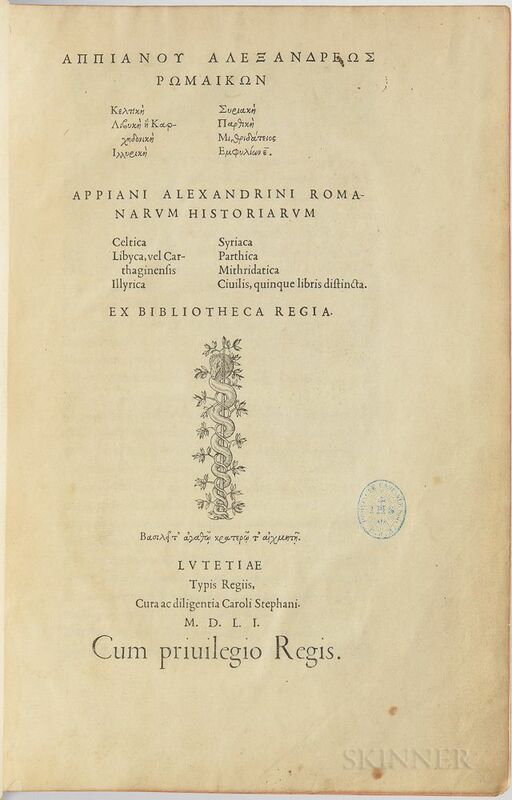 Ex Bibliotheca Regia. 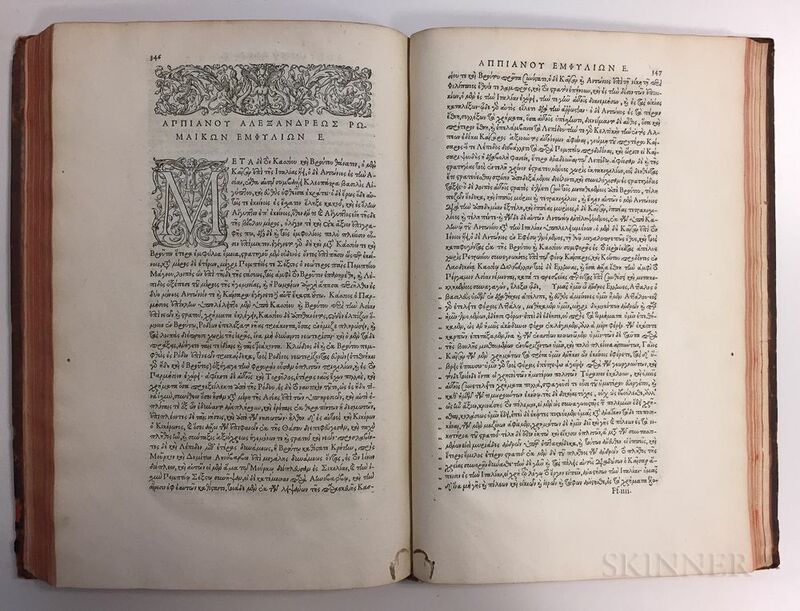 Paris: Typis Regiis, Charles Stephanus [Estienne], 1551. 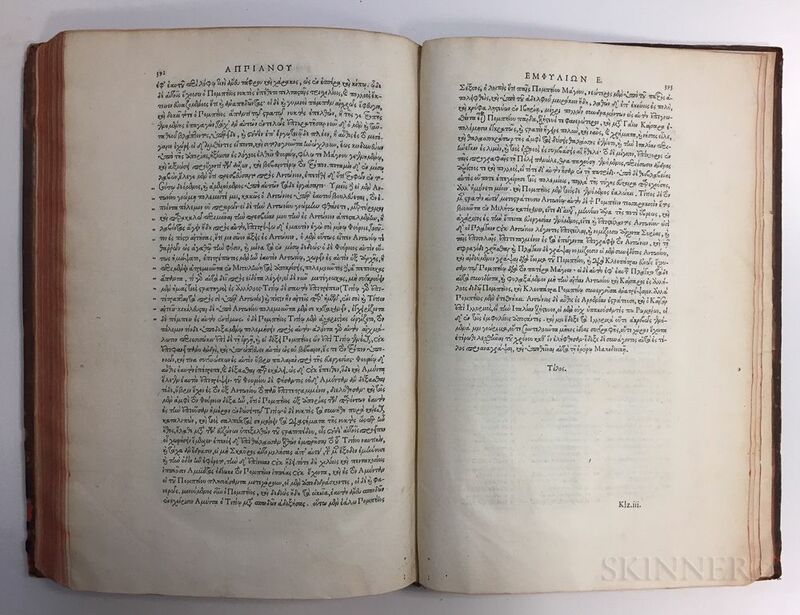 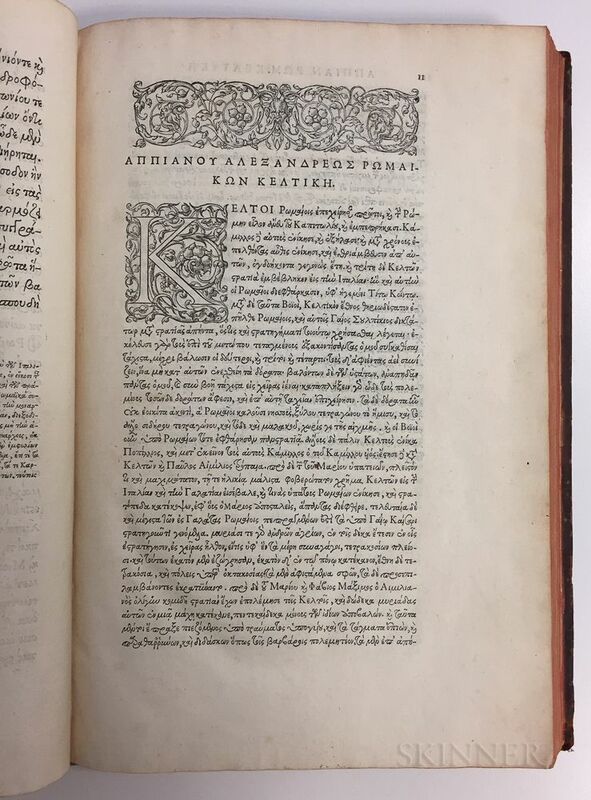 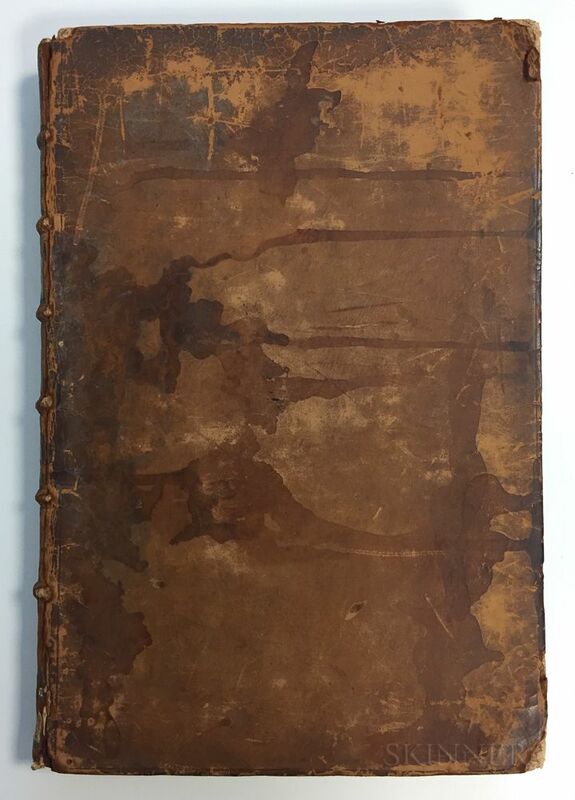 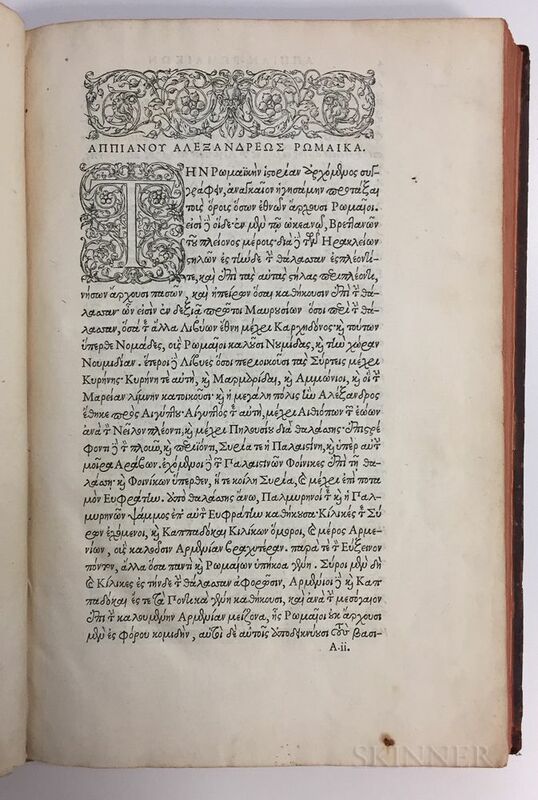 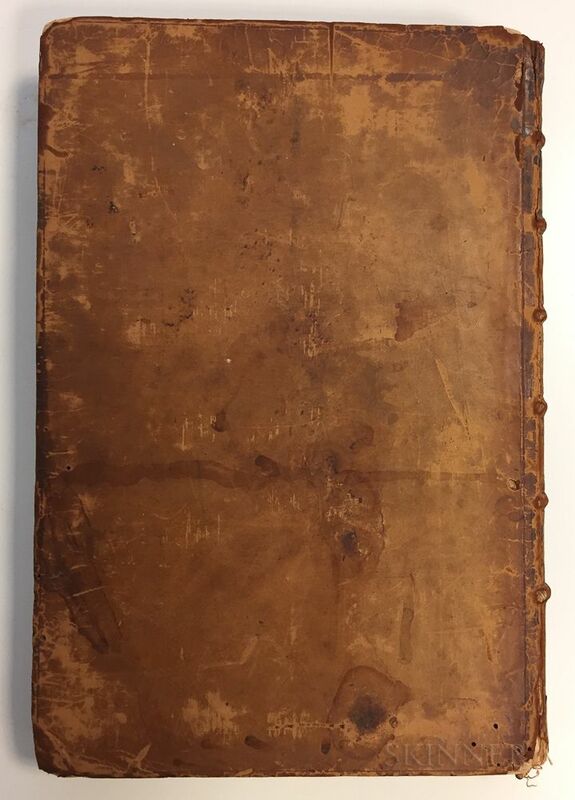 First edition, folio, printer's device on title, text in Greek throughout using Claude Garamond's Grecs du Roi, with the table, large woodcut initials, head-pieces; some worming, bound in 17th century calf, gilt-tooled spine, worn, with water stains to covers, marginal notes in Greek, 12 3/4 x 8 1/2 in.